Worrier - Any Other Retiree Worriers Out There? I am a always a worrier, afraid of uncertainties. My worries comprises of alot of things. Mostly evolved around family, work and finances. I feared the uncertainties and it affected my daily routine. I had been to a psychiatrist but the medicine did not help much. I have no friends and only colleagues and am unable to share with them. 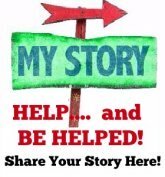 Any worriers out there who would like to share your stories with me so that we could encourage each other. Comments for Worrier - Any Other Retiree Worriers Out There? I am a worrier just like you. So I know what your going thru. Your not alone, email me if you'd like to talk. I get very lonely too. Hi! I suggest that you could do some meditation regarding your own self-discovery and then, I think you will be able to come up with some possible options for your own retirement life. I basically started from zero and now I am able to function by helping other seniors(50 Plus) with their business or social entrepreneurial goals.